Next weekend we begin our family celebration Viking Cruise in Europe. This is a big year for our family. My husband and I will celebrate 25 years of marriage in October, my youngest daughter turns 18 this month, and my oldest is turning 21. 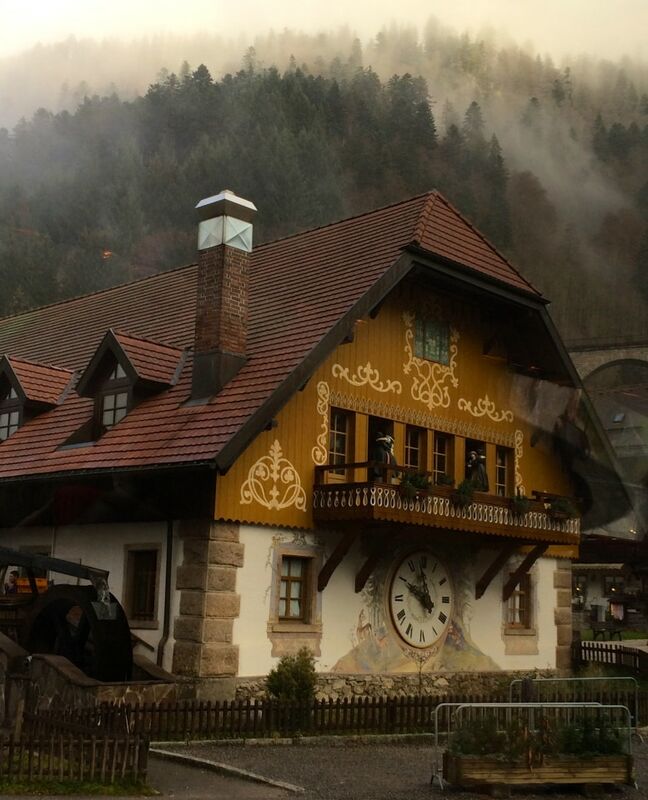 Whether you love visiting Europe or you’ve always wanted to go, I hope you’ll follow along. We started our celebration back in May when we headed to Maine for a Schooner sail. 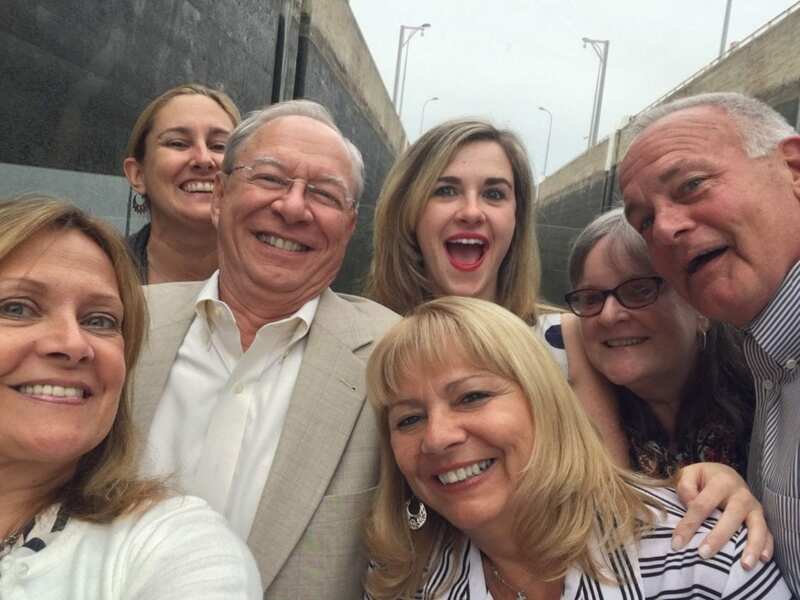 You might say we’ve been celebrating all summer leading up to the biggest event of all, an eight-day cruise on Viking River Cruises! My husband and I sailed on Viking River last year in France on the Rhone, and it was absolutely magical. We had been discussing what to do for this trifecta celebration. After spending time on the Lyon and Provence Cruise, we knew a family trip on Viking River would be filled with memories to last a lifetime, and that was exactly what we were looking for. In fact, Viking River was named One of the Best River Cruise Lines by Travel + Leisure readers in the 2017 World’s Best Awards and was also voted the Number One Ocean Cruise Line. 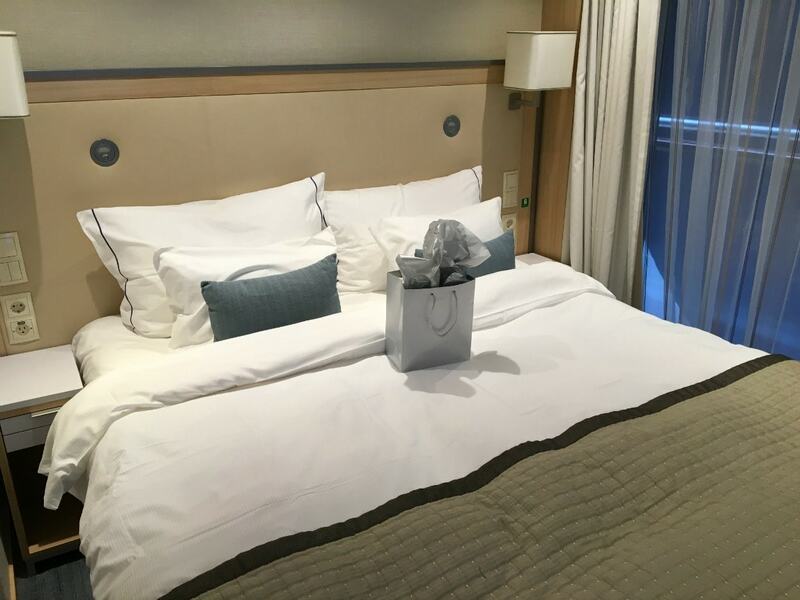 I haven’t sailed with Viking Ocean yet, but I love Viking River Cruises! Viking River has so many cruises to choose from and after a lot of investigating, we decided on the Rhine Getaway. I wanted to share our itinerary so you can follow along to see what an incredible experience a Viking River Cruise can be for your family. Day One: We fly into in Basel, Switzerland and have the day to explore, departing that evening. Day Two: Breisach, Germany, where we will take a tour of the Black Forest. We also have the option of learning to make Black Forest Cake, so you know what I’ll be doing! Each port has choices for excursions and it’s really hard to choose. We had a blast on the Lyon and Provence Cruise. 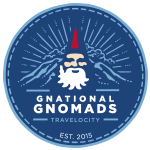 Check out our excursions! 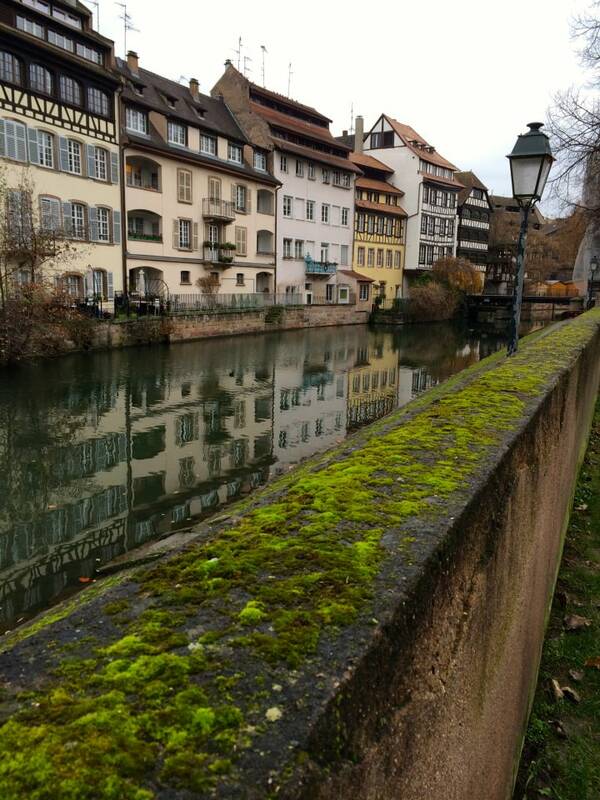 Day Three: Arrive in Strasbourg, France, the largest port in the Upper Rhine. This is one of the places I have dreamed of visiting, and I can’t wait to explore the cobblestone streets and sit at an Alsatian cafe while people watching! Day Four: Arrive in Heidelberg, Germany, to see its stunning baroque architecture. In fact, according to the guidebook provided by Viking, Heidelberg’s cityscape is so beautiful that American forces deliberately chose to avoid bombing it during World War II. We will also visit Rudesheim, Germany, the area’s center for winemaking located in the heart of the Rheingau’s region. Day Five: We will be sailing along the Middle Rhine which is supposed to be absolutely gorgeous. Don’t worry, I will be taking hundreds of photos every day and will share as quickly as I can! Later in the day, we will also visit Koblenz at the confluence of the Rhine and Moselle Rivers. We will also be visiting the Marksburg Castle, the only castle in the Rhine Valley to have never been destroyed. Day Six: We’ll be visiting Cologne Germany with a walking tour to see its gorgeous cathedral, a UNESCO World Heritage Site. 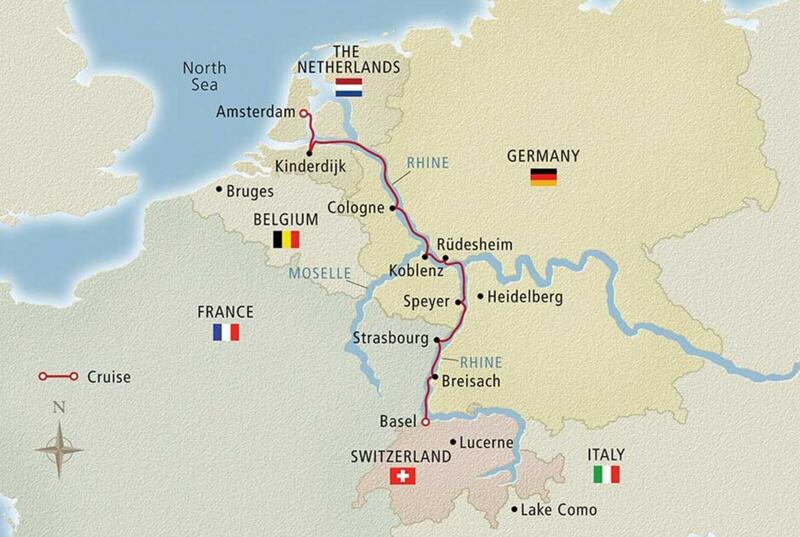 Day Seven: We will be sailing along Rivers Waal and Merwede, with views of classic Dutch landscapes. Later, we’ll arrive in Kinderdijk, Netherlands, a village in the Alblasswewaard province known for its 19 preserved windmills. Day Eight: We end our cruise in Amsterdam, where we’ve decided to explore for a few additional days. Something I haven’t mentioned yet is that simply being onboard a Viking River Cruise is heavenly. The food is gourmet. The amenities are wonderful. You won’t believe how luxurious the bed is! The staff is truly amazing, and I made so many new friends from all over the world. There are several places to sit and relax to see the views. Between meals, there are always snacks, including cappuccino, coffee, and tea. Cocktails are served before dinner. There are also cultural activities every day. 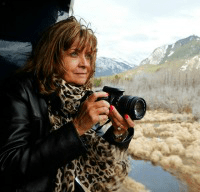 You can choose to do as much or as little as you’d like on your cruise, but I plan to take advantage of every opportunity to see or learn something new! What do you think? Would your family like a Viking River Cruise? Have questions? Ask away! 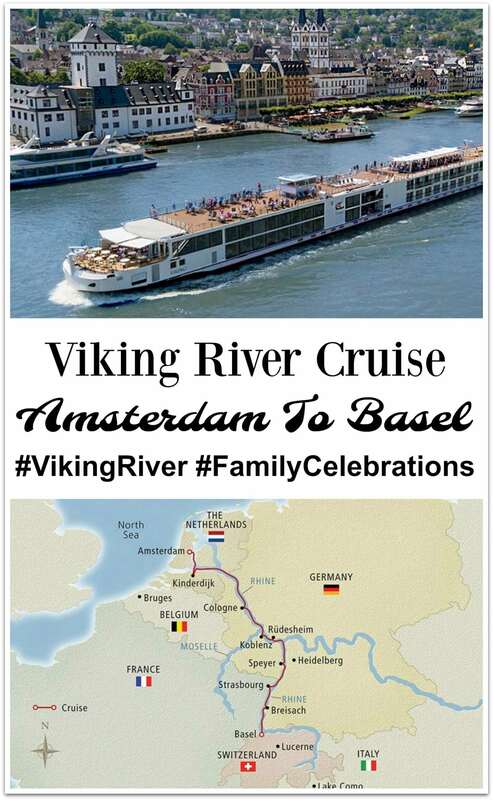 And follow along with us using #VikingCruises and #FamilyCelebrations on Twitter and Instagram! 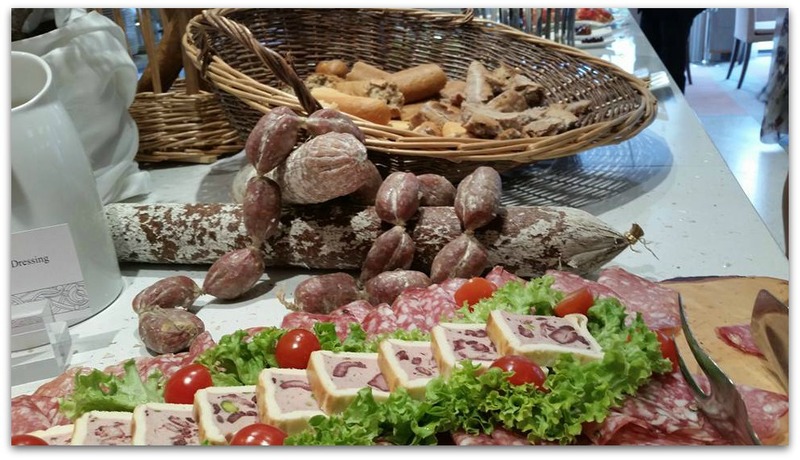 I am partnering with Viking River Cruise in exchange for sharing my trip here at Food, Fun & Faraway Places. Super jealous! I will be following along so I can live vicariously through you!